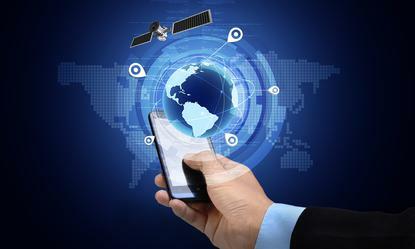 Location intelligence and geo-mapping can be powerful ways to connect with customers and provide a more personalised, tailored and relevant experience. But placed in the wrong hands, and the technology can quickly spiral into annoying your customer and ultimately, ruin your customer relationships. We speak to industry leaders, marketing experts and location data consultants to find out which epic mistakes marketers all too often make when implementing a location intelligence strategy. According to Ikon Communications’ head of digital, Sian Whitnall, there is nothing worse than a consumer being exposed to a “highly relevant” brand experience that has actually got them all wrong. Co-founder and CEO of software company ShareRoot, Noah Abelson, relevancy is so important in advertising and marketing, location-based intelligence is a must if marketers are going to achieve value-based engagement with consumers. “But you need to ensure your app is relevant and palatable and has value for your customers,” he said. “If I’m in a store and you’re not targeting me with offers and promotions that are directly relevant to me, the experience is massively affected. Buzinga App Development’s co-founder and director, Logan Merrick, agreed location-based data and geo-mapping must be highly relevant and as non-intrusive as possible. Merrick suggested marketers start small and take an agile “build, measure, update” approach to rolling out location-based technology. One of the surefire ways to annoy your customers is failing to give them an opt-in for their geolocation experience, oOh!Media’s digital strategy director, Brendon Cropper, said. Like all good marketing, Cropper stressed the need to put customers first in all location intelligence thought processes. Experts also agreed customers will quickly become annoyed by irrelevant push notifications and services that fail to offer a personalised or enhanced customer experience. The other issue for brands when it comes to location data is the device that is collecting that data: The mobile phone, he said. One of the major customer concerns with location intelligence is the storage of personal data and how it is used, Oracle’s director of CX strategy and transformation, Kristi Mansfield, said. When launching a mobile-based service using location data, she recommended organisations build a sense of trust with their customer. Lassoued pointed out privacy surrounding location data is a big issue globally. “The main point of using such sensitive data would be common sense,” he said. “If you even remotely think the use of the interaction could be creepy or annoying, then don’t do it.